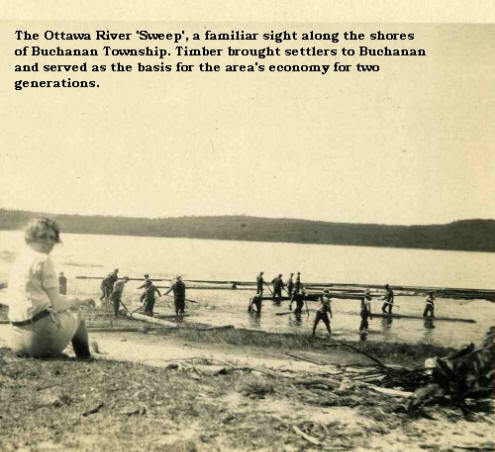 A nation’s history is built story by story, and this website is dedicated to the patchwork of wonderfully colourful tales that make up the history of Buchanan Township, an early pioneer community along the shores of the Ottawa River, 200 kilometers west of Ottawa. Canada was painstakingly forged by homesteaders who opened up modest settlements while suffering against uncultivable land, treacherous winters, and isolation in order to scratch out a subsistence living. 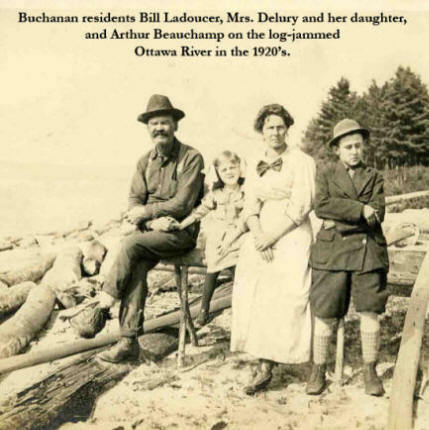 The story of Buchanan Township is, in many ways, the story of Canada. 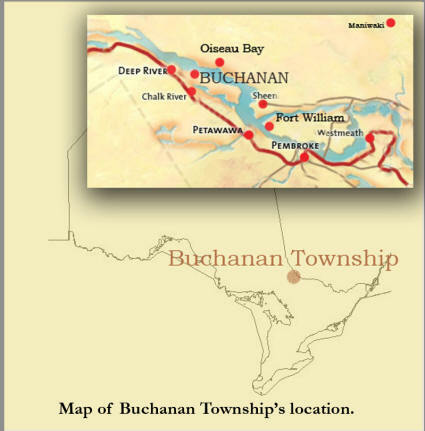 Buchanan began in the 1830’s when square timbermen and their families settled plots of land, and ended in 1944 when the community was dispersed after His Majesty The King expropriated the township for a vital wartime project. 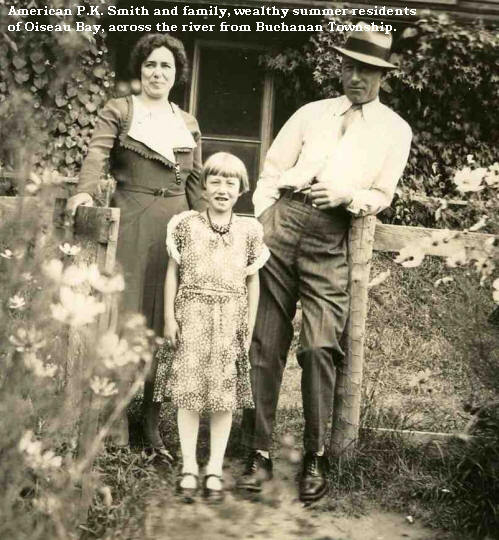 Today, many of the historic remains of the relocated Buchanan residents lie quietly within the boundaries of the nuclear research facility at Chalk River, and only a faint whisper attests that this lively community once existed against all odds. Copyright © 2008, E. Bond and F. Chunara, All rights reserved.